A scene starts with three girls sleeping. One wakes up and wakes up the others. They eventually all get up and see a big tree which they adore but a lumberjack comes to cut down. One of the girls stands next to the tree so that it can’t be cut down. He keeps on trying till she shows him why he should not cut the tree. Then, they start to dance and more girls come on stage. The other part follows a story of the lost boy in the jungle. “Jangala” is a family friendly performance that came to the CVHS Center for the Arts on March 13 by the Oakland Ballet Company. 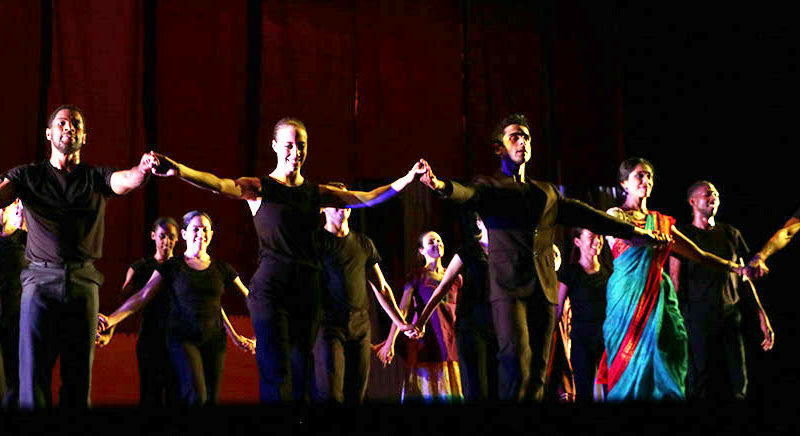 The dance fused a classical Indian style with modern ballet. There was beautiful music which were the only words said. The artistic director of the ballet was Graham Lustig who was in charge of handling many roles like hiring dancers and dealing with the market team. “It’s very satisfying when a project comes together, it is very important to share arts with the students. We now have done two schools and it’s satisfying to hear the appreciation from the students and the questions, we seemed to have a good turnout. The audience is diverse which is very important to me,” said Lusting. Overall, Jangla was a very good performance and experience. There were many beautiful scenes with lots of color, and it had a beautiful storyline but had a few differences from the “Jungle Book” which was what it was based on.